Patient’s first visit to Luxdentic Dental Clinic always starts with a detailed examination. 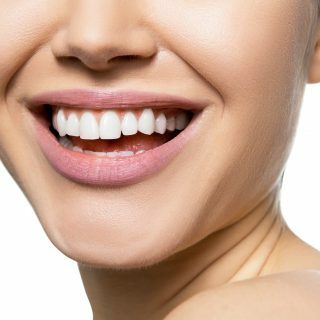 The dentist evaluates oral health – teeth and gums and based on X-ray and Patient’s medical history, doctor prepares a comprehensive treatment plan. First visit to our dental clinic is an opportunity to take a digital pantomographic X-ray. Large X-ray is a picture of all teeth and bones and allows us to detect a problem that is invisible in an ordinary intraoral examination. Thanks to X-ray diagnostic, we receive information about previous treatments, old fillings, tightness of prosthetic restorations, periodontium, bone calcification, condition of the dental root canals, maxillary sinuses – on the same visit. An important stage in Patient’s diagnostic process is the intraoral examination with dental camera. Thanks to the mini-lens that transmits the image to a computer monitor, we can show in detail and explain to the Patient whay we need to start the treatment. Basing on pantomogram X-ray picture, we can also decide on the need for root canal treatment or detect problems unrecognizable when using a traditional study. If the scope of your treatment requires a visit to doctors of other specialties, the dentist performing the examination will mark it in the treatment plan and guide you to visit a specific specialist. If during the first visit the doctor does not see the need for an immediate treatment, then he would invite you to dental check-up in 6 months, which we offer for our Patients free of charge. At the reception you can pay for the visit and book another date. For your convenience it is possible to pay by card and cash. We also offer the option of installment payment in cooperation with Mediraty.pl. You feel like going to the dentist, but you do not know where to start? She graduated from the Medical University of Lublin. Completed a postgraduate internship at the Central Military Medical Clinic CePeLek in Warsaw. During studies she was interested in global trends in the teeth aesthetic restoration. She was a member of the Polish Society of Dentistry Students. 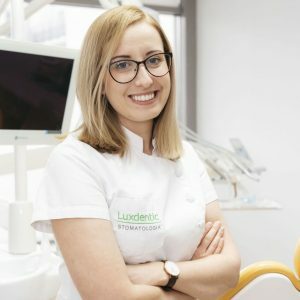 She constantly improves her medical qualifications by participating in trainings, courses and conferences concerning mainly conservative and aesthetic stomatology. She graduated from the Medical University of Silesia in 2014. During the studies she was an active in the Student Scientific Club at the Chair of Gum and Orthodontics Dysfunction. 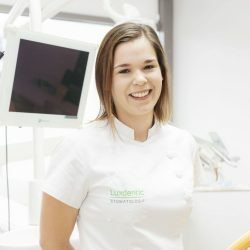 On a daily basis, she deals with conservative dentistry of children and adults, aesthetic dentistry, teeth whitening, performs basic procedures in the field of dental surgery and prosthetics. She constantly improves her medical qualifications by participating in many trainings. Always smiling, empathetic, she takes care of a nice and stress-free atmosphere during the visit.